Two of my closest friends and I gave up on tangible birthday presents a few years ago. We opted instead for taking the birthday girl out for the evening; this once involved a life drawing class but it tends mostly to revolve around food. Tonight I was the (belated) birthday girl. When I received instructions to meet my friends at Highbury and Islington tube station, I guessed immediately where we were going and was very much looking forward to it, having heard wonderful things. It was busy and smelt great; two very telling signs of a good restaurant. 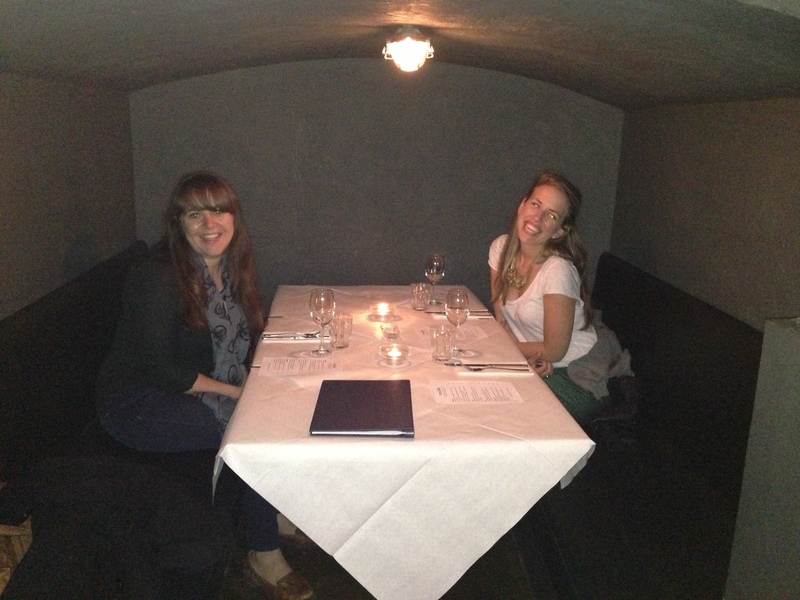 We were seated in a cosy cave/booth downstairs and dived straight into looking at the menu. We were served without any delay, and our waiter was friendly and explained each dish, as well as why he wouldn’t advise us to order a primi (starter-sized pasta dish) as a main. Eventually I decided on Chopped Belted Galloway beef fillet with mustard and watercress to start. 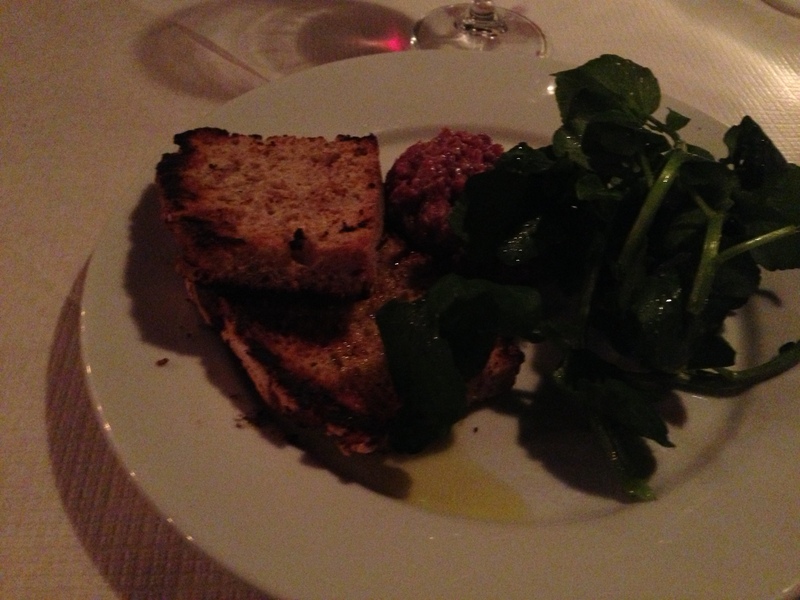 I couldn’t tell from the long-winded name but this was steak tartare. It was superb. The hint of mustard was just the right amount and it went very well with watercress. 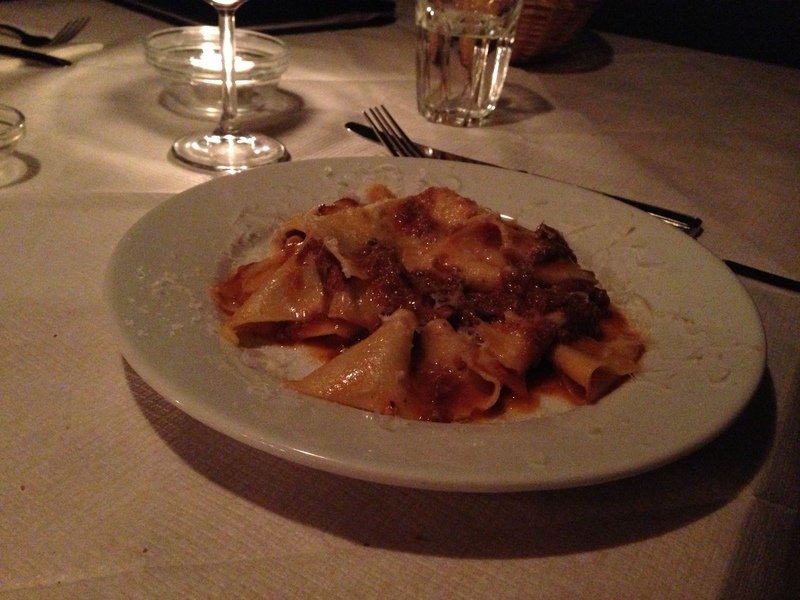 My friends had mozzarella with figs and basil and pappardelle with beef shin ragu. Both were, again, superb! Meanwhile we were enjoying a bottle of Sangiovese (red wine) which I recommend. 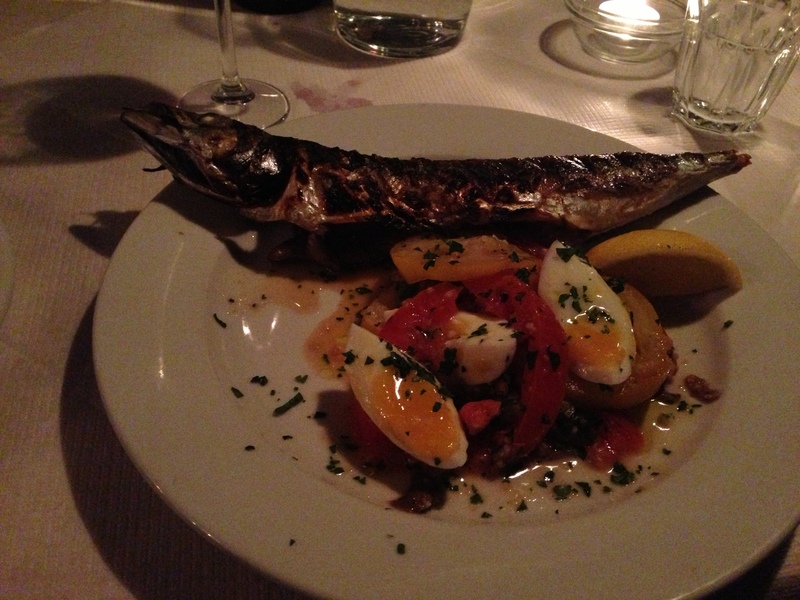 For main I ordered mackerel with tomatoes and a soft-boiled egg. I have only ever had cold mackerel in those packets from supermarkets that have had all the the air sucked out. I wondered what hot mackerel would look and taste like. I can assure you that this mackerel looked like the healthy and more attractive European cousin of the mackerel I had previously encountered; you could almost imagine it being grilled until the skin was crispy and charred on an open flame near the sea. It tasted extremely fresh. 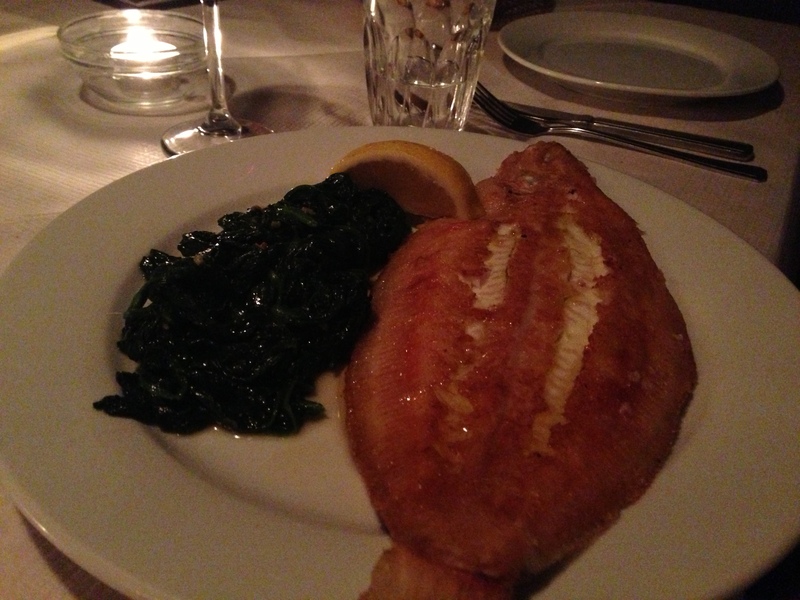 My friends enjoyed lamp rump with baked borlotti beans and lemon sole with spinach, anchovy and garlic. Both were fantastic. Spinach is one of my favourite foods and this was so flavoursome it was possibly some of the best spinach I’ve ever had. 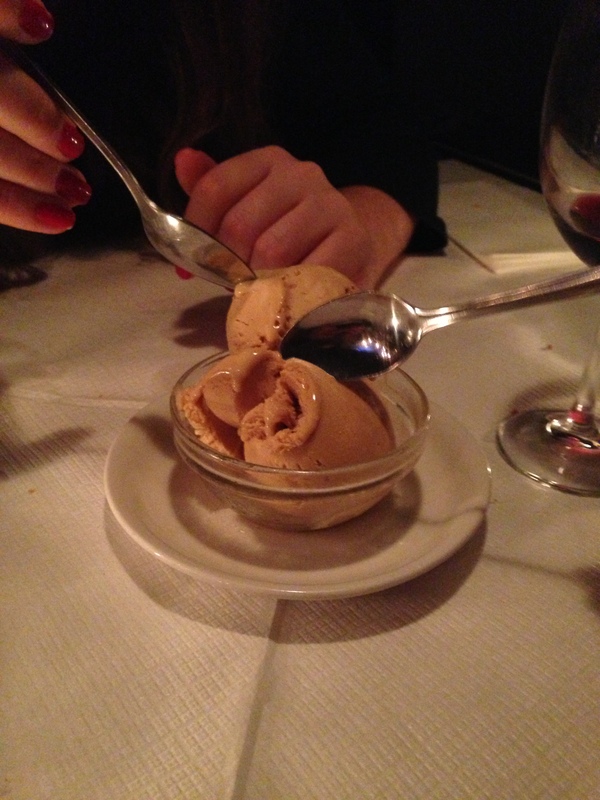 For dessert we shared two scoops of salted caramel ice cream. I can’t rave QUITE as much about the ice cream as rest of the meal, only because I’ve very recently had salted caramel ice cream that was out of this world. 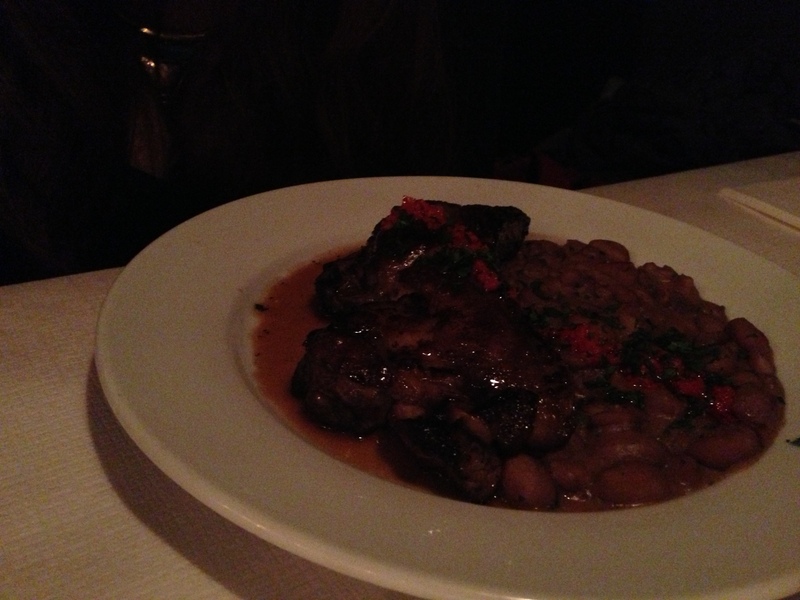 This one had a slightly burnt taste, which we deemed to be on purpose, so I suppose it’s all subjective. In absolute terms though, it was pretty good ice cream. 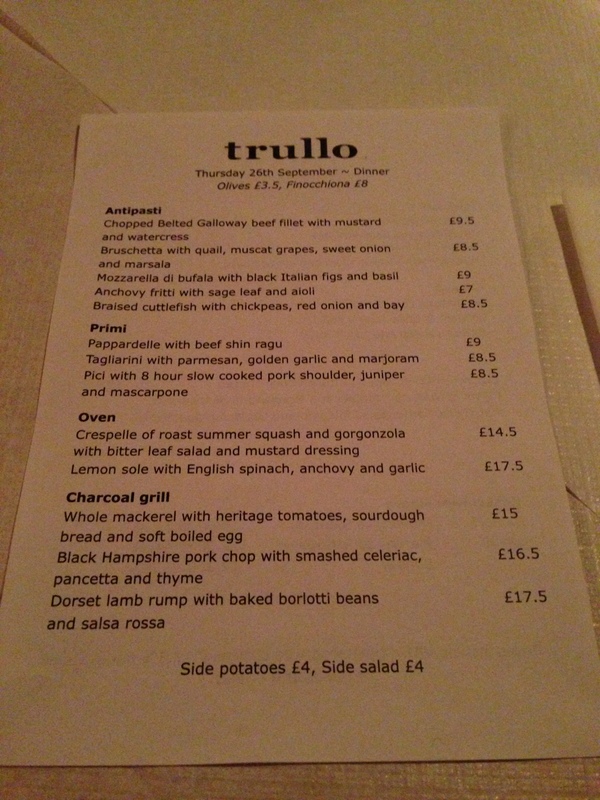 So.. to sum up, Trullo is one heck of a good restaurant. 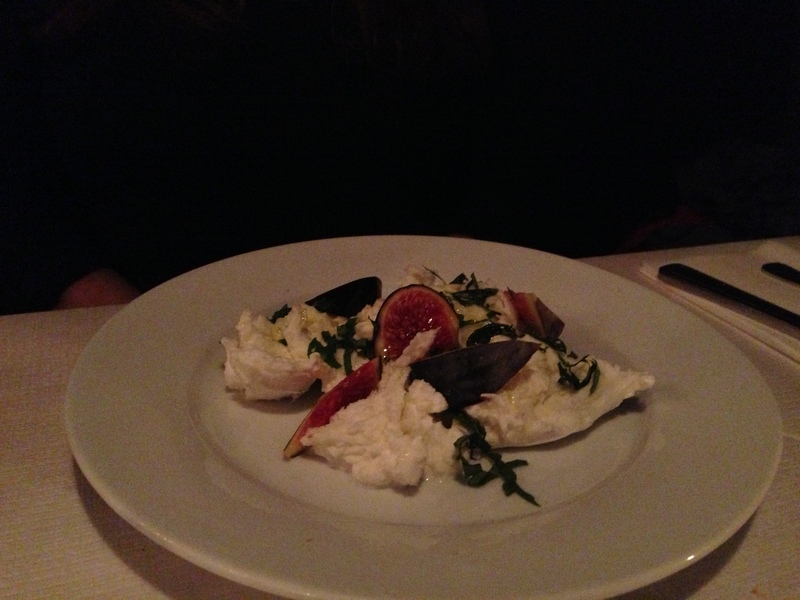 On average, a starter is £8 and a main is £16.